Used by marines by the end of WWII. 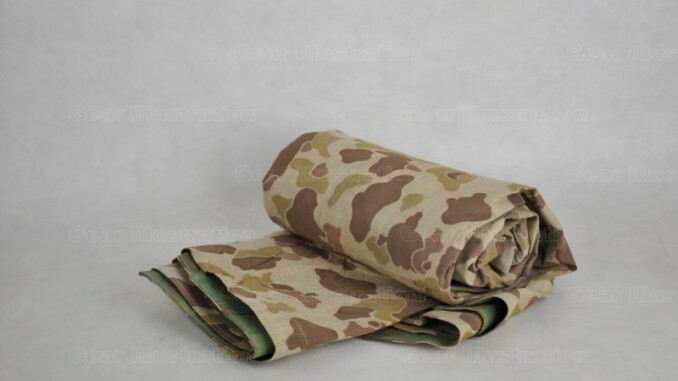 Camouflage pattern printed on both sides. Two poncho can be joint up by the snaps on their edges and make a whole tent for two soldiers.